As the weeks go by – 6 households x 5 weeks each – it is beginning to bother me that the families cannot make, and keep, friends from week to week. Additionally, the world is full of ghosts, vampires, and aliens. I am making some changes today to see if I can improve these issues. I reinstalled MC Command Center – I had removed it for the recent updates and had not replaced it. I am turning off aging off for unplayed sims. 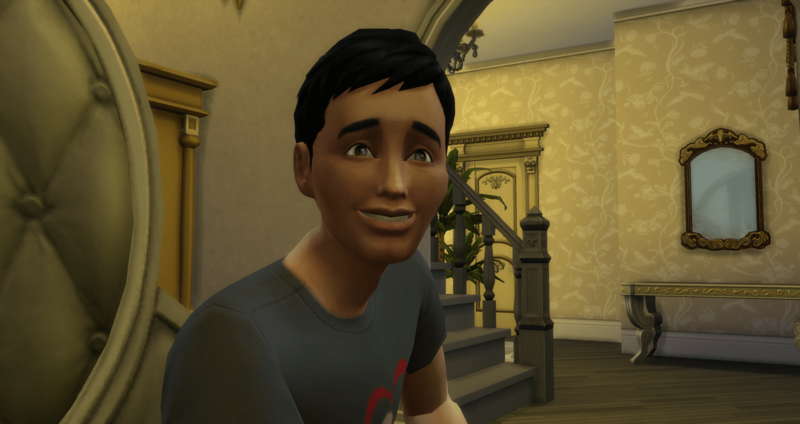 Played sims will only age while they are being played. This will resemble Sims 2 style aging. MC Command Center will still be responsible for filling houses and running pregnancy and marriage scenarios throughout the week. Saved the game to a new save file – preserving the original one in case I screw up with the deletions. Once these changes have been made, I then removed most of the unplayed households from the game. It is time to begin fresh. 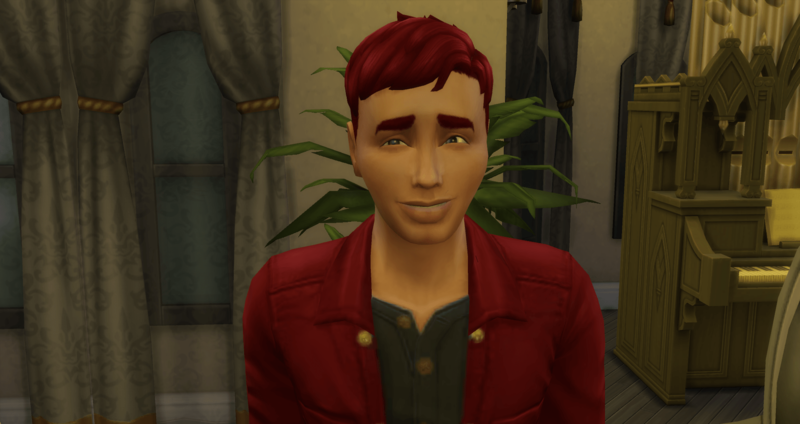 The only unplayed family saved is a combination household including Caleb and Lilith Vatore + Adonis and Conrad Goth. As a reminder, Caleb is Lorcan’s father and The Goth boys are Tambra’s half-brothers. Let’s meet the new family. Starting with Lilith, who is a vampire. 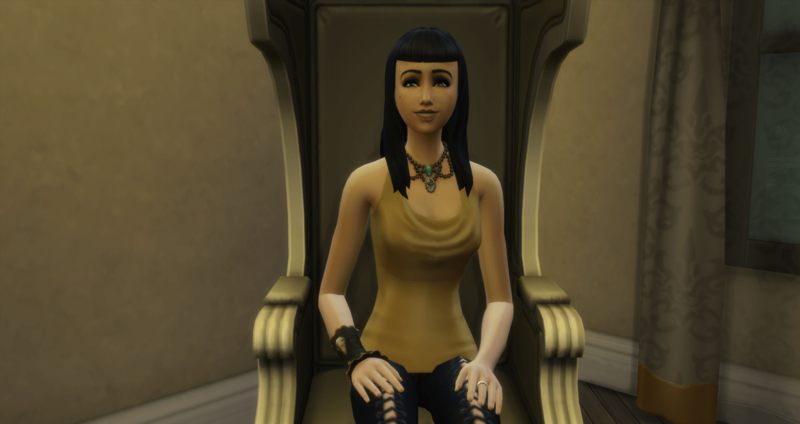 Lilith is a Master Vampire and wants to build a Vampire Family. She is currently an officer of the law. Lilith changes her aspiration to Good Vampire. Caleb Vatore is, of course, her brother. He is also a Master Vampire and wants to be a Good Vampire. He is currently a Medical Intern. Caleb has four children. Lorcan is the youngest and lives with his mother, Layla. Cayla has already passed away (as part of the purge, she was living alone and I didn’t know she was related). That leaves his remaining sons, who are still living in the household. Marquise is not a vampire and has just passed into his elder years. He wanted to become a Freelance Botanist but is working as a Food Critic. At 89 days of age, I don’t expect him to hang around more than a week, maybe two. 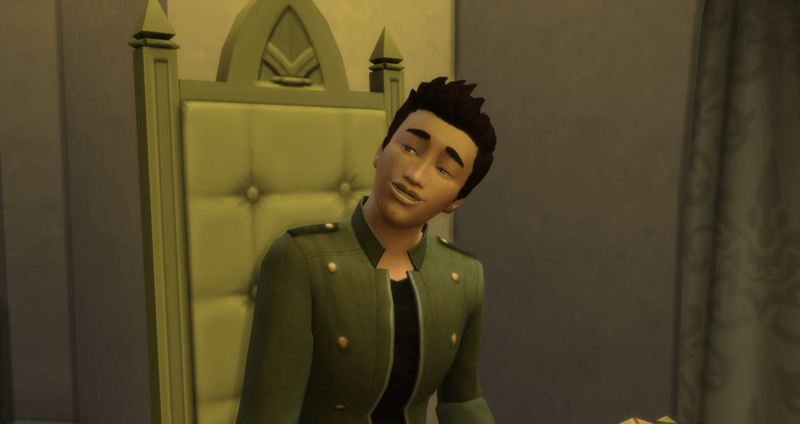 For that reason, he changes his aspiration to Fabulously Wealthy. The last of Caleb’s children is Rylan. 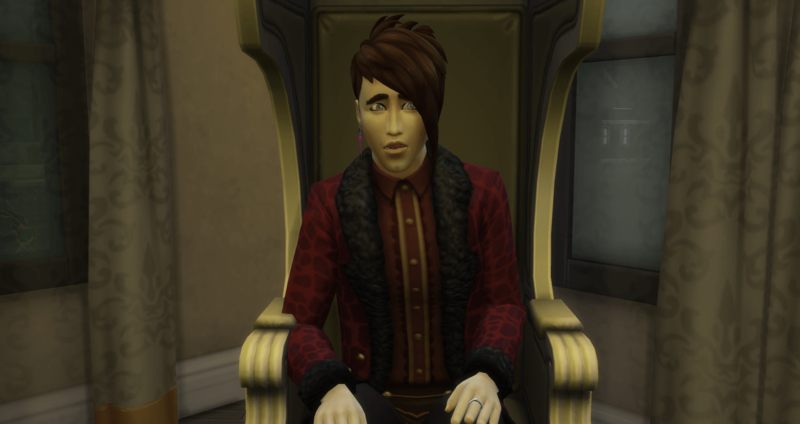 Rylan is a Fledgling Vampire and wants to become a Musical Genius. He is currently unemployed. 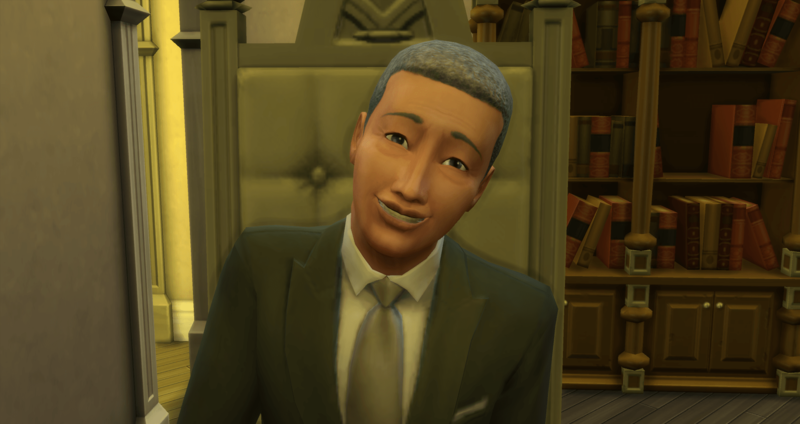 After changing his aspiration to Good Vampire, it is time to find him a job. He is Lazy, Insane, and Childish. And, a vampire. I think he will become a Master Vampire instead. For his career, he chooses Tech Guru so that he can play games and get paid. Alexander Goth had two sons after leaving Layla. The oldest is Adonis. Adonis considers himself to be a Nerd Brain, but is, apparently, a very good writer. He is a level 10 Journalist. Adonis changes his aspiration to Bestselling Author to line up with his career as a Journalist. He is halfway through his Adult phase so needs to work on something he might finish. Finally, there is Conrad. Conrad wants a Successful Lineage and is currently unemployed. Conrad is Jealous, Unflirty, and Active. He decides to become a Bodybuilder and takes a job in Athletics. With the addition of the Vatore and Goth household, there are now eight playable houses.